Wellington is a town located west of West Palm Beach in central Palm Beach County, Florida and it is famous from an equestrian adventure. 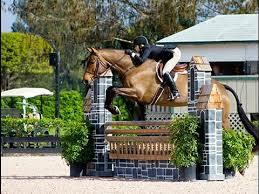 Wellington is home to an internationally recognized equestrian community. This town offers endless opportunities to play by day and ride off into the sunset at night on the beach. Each January through April, Wellington’s equestrian season is open. During Palm Beach International Polo Season, you can’t swing a mallet without hitting a daily event, field-side brunch or champagne-soaked party. Capping it all off is the International Gay Polo Tournament, with non-stop excitement happening on and off the field. You’ll find a variety of beaches near Wellington, like nearby Lake Worth Beach with its popular fishing pier, Lake Worth Casino and Palm Beach Island shopping on Worth Avenue. One of attraction is the Wellington Environmental Preserve, featuring nature trails, a six-story observation tower and, an equestrian trail. Designated learning areas reveal insights into the surrounding environment. More outdoor adventure is at Peaceful Waters Sanctuary and Scott’s Place Playground.